Among many things that customers look for in minivans, technology is very important. If you are one who frequently transports small children, you know that their entertainment is vital to have a painless drive. Technology helps kids relax and it is so convenient for parents. The 2019 Honda Odyssey comes loaded with technological features that are more advanced than we have ever seen before. Keep reading to learn more. What technology comes in the 2019 Honda Odyssey? As is the case with all vehicle, the Odyssey comes in several different trim levels that each come with unique features. 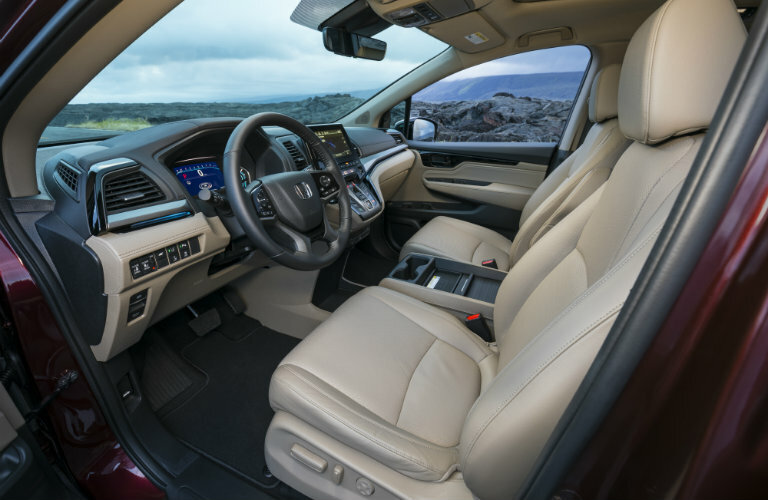 Base features on the 2019 Honda Odyssey LX include Bluetooth HandsFreeLink®, USB audio, and a five-inch color LCD monitor with a multi-angle rearview camera. Check out our table below for more information on tech features. No matter what your needs are, the Honda Odyssey features something for you. If you want to keep an eye on your little ones, the Touring trim comes with CabinWatch™, a great feature that always keeps you aware of how they are doing. Other features like ambient lighting, wireless charging, and heated seats bring a whole new atmosphere to the minivan world. Come by Matt Castrucci Honda and check out the new 2019 Odyssey for yourself! Our sales team will go over all of your remaining questions. This entry was posted on Thursday, August 2nd, 2018 at 12:38 pm	and is filed under Honda Odyssey. You can follow any responses to this entry through the RSS 2.0 feed. Both comments and pings are currently closed.